CryptoControl is a news aggregator for CryptoCurrencies, ICOs and Blockchain related news. CryptoControl also has crypto news APIs, chat bots and an Android/iOS app where people read crypto news regularly. 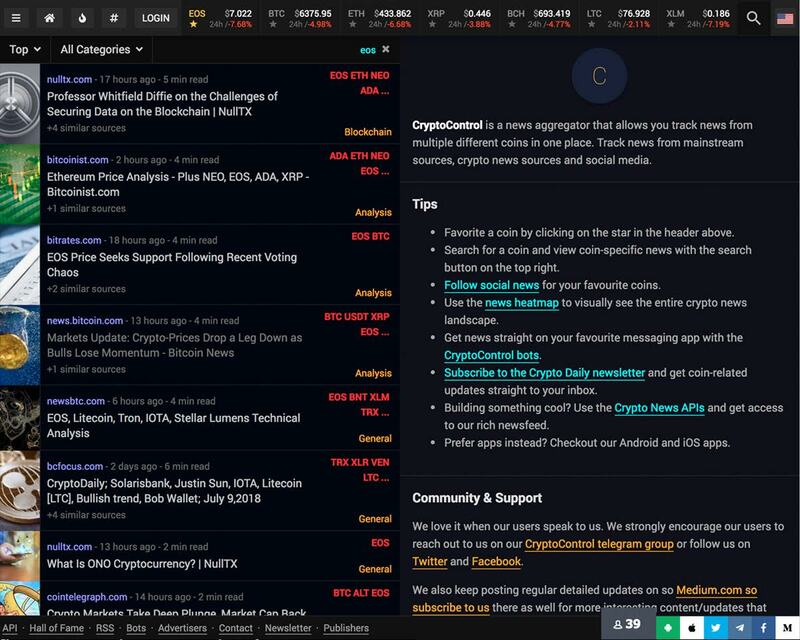 CryptoControl organises news for the daily crypto trader, investor, enthusiast.